On this page, the Society for Micro- and Nanoelectronics announces news and, if applicable, events and activities for which it carries the main responsibility. Older news items and former, already completed events are listed on the page "Archive News and Dates". 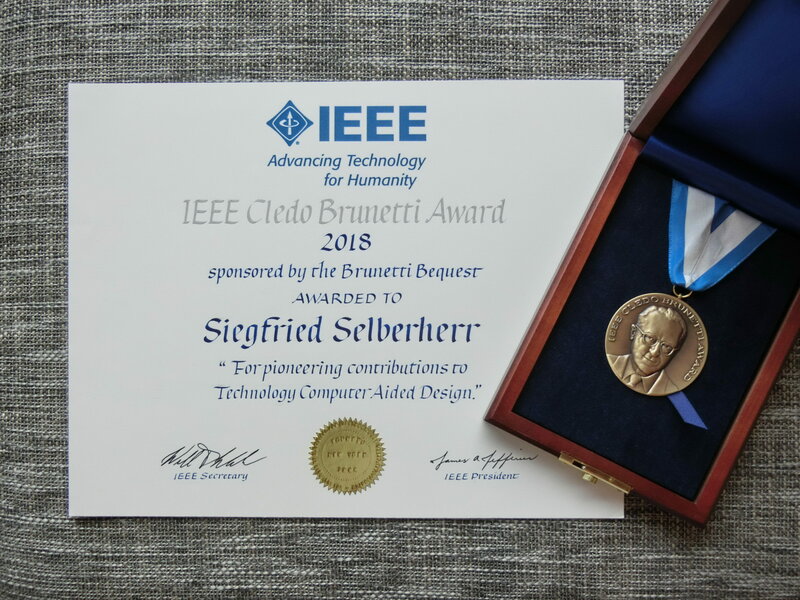 On December 4th, 2018, Siegfried Selberherr received the internationally highest ranking award for activities in the area of microelectronics, the "IEEE Cledo Brunetti Award". The award ceremony took place during a gala dinner for about 2000 participants in the course of the "International Electron Devices Meeting 2018". 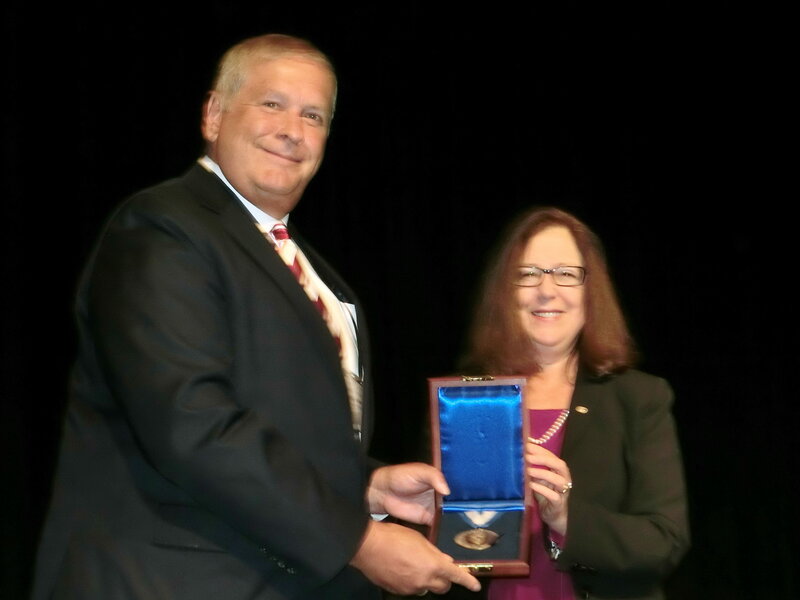 The dedication of the Award was "For pioneering contributions to Technology Computer Aided Design." The price, awarded once a year, is funded from the bequest of Cledo Brunetti and dedicated to "Outstanding Contributions to Nanotechnology and Miniaturization in the Electronics Arts". Its first awardees in 1978 were Jack Kilby, one of the "inventors" of the integrated circuit, and Robert Noyce, the founder of Intel. Cledo Brunetti was an outstanding engineer of the American "National Bureau of Standards", which is the reason why the broad public hardly learned about his inventions and developments, or at least very late. Among others, he miniaturized the walkie talkie, integrated its components and made it usable in civil life. The Society for Micro- and Nanoelectronics congratulates Siegfried Selberherr to this remarkable achievement!